It’s a staple of American households and often tops the grocery list, but for many low-income families, having milk in the refrigerator can be a rarity. According to the Great American Milk Drive, people served by food banks receive less than one gallon per person per year on average. In Oregon, that statistic is changing. Thanks to an influx of milk provided through the U.S. Department of Agriculture’s Emergency Food Assistance Program, the Oregon Food Bank network has been distributing nutritious skim, 1%, 2%, and whole milk every week to local families and individuals. So far, this has totaled nearly 160,000 gallons. While it is great news, this did pose some challenges due to perishability, refrigeration capacity and logistics. 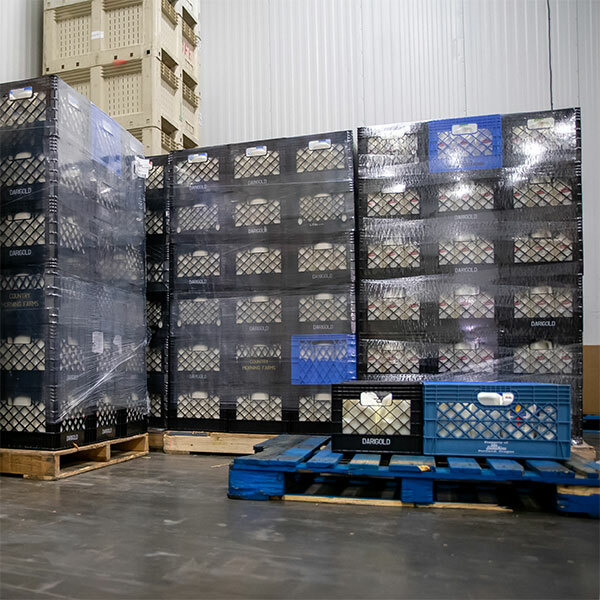 In what they described as ‘a flurry of activity,’ Oregon Food Bank staff welcomed the distribution challenge and overcame stumbling blocks in coordination with Oregon’s 20 regional food banks to get the product in and out to communities as quickly as possible. This milk provides a temporary supply to meet ongoing demand, and there are still long term needs to be addressed when it comes to fighting hunger in Oregon. You can help make a difference by contributing to the Oregon Food Bank and/or the Great American Milk Drive.